The details of dental implant treatment can vary from patient to patient. Whether you have one or several missing teeth, understanding what to expect when you visit an implant dentist in Puyallup can help to reassure you and inform your decision about taking up treatment. You may have recently lost a tooth or have had a gap in your smile for many years. 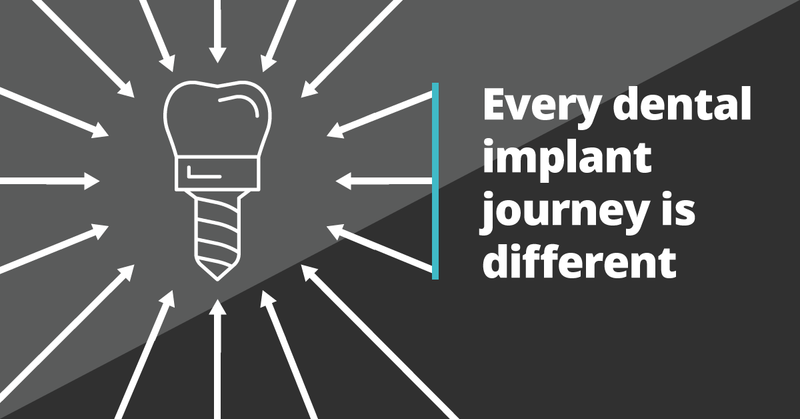 Everyone has a unique smile and set of circumstances, so every dental implant journey is different. There are some common stages, however, that can give you an overview of what you can expect. We have broken this down into six simple steps. Once you have decided to find out more about replacing your missing teeth with dental implants, you will need to attend a consultation with a dentist who can perform this type of treatment. Choosing a dentist who has the skill and expertise to place dental implants is an important part of the process. What happens at your consultation? This appointment has two purposes – to assess your suitability for treatment and for you to find out what to expect from treatment. Your dentist will complete a full oral health and dental assessment, which is painless. You will be asked to complete a medical history form as well, to ensure there are no medical issues with treatment. Your dentist will take x-rays, scans and photos of your smile. Depending on your individual smile, your implant dentist in Puyallup may use a CBCT scanner or an intraoral scanner, as well as conventional x-rays. This will all be used to create an accurate 3D image of your smile, using innovative computer software. Your dentist will use this 3D image to plan your treatment with absolute precision and accuracy. Using all of this information that has been collated, your dentist will create a bespoke treatment plan, based on your individual smile as well as your lifestyle.It may be the case that preparatory treatment is needed before placing the implants. This may include bone grafts, if there has been disintegration of the bone at the implant site – this is more common if the tooth has been missing for a while. You may also need treatment to address any oral health issues first. For example, any periodontal disease can affect the success of your implant so will be treated before beginning to place dental implants in Puyallup. Smoking is another factor to address before any treatment can begin. Due to the nature of the treatment and the impact that smoking has on the healing of gum tissues, the success rate of dental implants is significantly compromised in smokers. The treatment plan that you are presented with will take into account all your unique considerations and oral health requirements. Your implant dentist will talk through the treatment plan, answering any questions and showing you a preview of how your smile will look after treatment. This is done using innovative treatment planning software, that is able to create an accurate digital simulation of how your smile will look after treatment. Any additional treatments needed before implants can be placed, such as bone or gum grafting or periodontal therapy will also be included. Your bespoke treatment plan will also contain a breakdown of the costs for all treatment stages. You will be able to discuss insurance and payment plans before committing to treatment. This enables you as a patient to budget effectively and plan for your treatment. When you are happy with the treatment plan your dentist has suggested, you can approve it and begin treatment. The treatment period can vary in length – depending on whether there are preparatory treatments and if there are one or several implants to be placed. If you are a nervous patient or experience dental anxiety, it can help, when choosing dental implant treatment in Puyallup, to find an implant dentist who gives a clear treatment plan. You will know what to expect at every appointment and how you will feel afterwards. The placement of the screw-component of a dental implant is done in the dental chair with local anaesthesia. Thanks to modern techniques and accurate surgical planning tools, discomfort is reduced significantly. In addition, patients who experience dental anxiety will be offered sedation to ensure they remain comfortable during this part of treatment. A common question patients ask when considering having dental implants in Puyallup is how long the process will take from start to finish. One of the main variants is how long it takes for an individual mouth to heal after placing an implant. 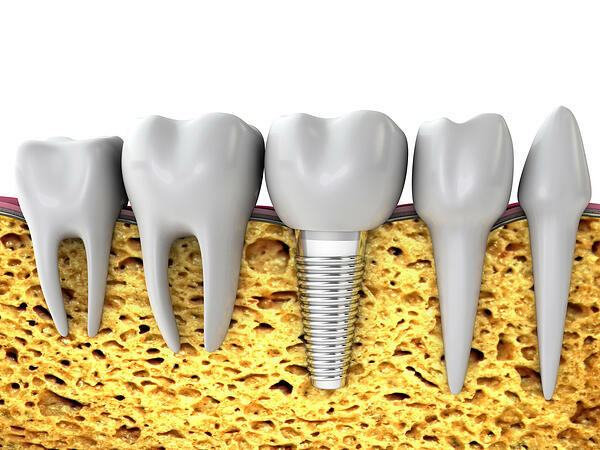 This process is called osseointegration – the bone around the implant fuses to it, making the post secure in the mouth. Due to advances in material and design of implants, this is reducing all the time and can now take as little as eight weeks. But it will vary from patient to patient, which is why it is difficult to give a definitive timescale for treatment. Your implant dentist in Puyallup will monitor the implant, ensuring that it is healing correctly. Depending on your unique circumstances, you may be fitted with a temporary prosthesis such as a crown or bridge, to ensure you are able to eat during the healing period. From a visual point of view, it will also mean you won’t have a gap between your teeth in this time. Once the implant has healed and the bone has fused around the post, it is time to have your prosthetic component, such as a crown or bridge fitted. This will vary depending on your individual treatment plan. During treatment planning, your dentist will have designed the replacement teeth ideally fitted to your bite for function and esthetic results. Using state-of-the-art software, your implant dentist can use the simulation to create the perfect replacement tooth for your smile. At your final appointment, your dentist will ensure that the final crown or bridge is securely fixed to your implant or implants. Your bite will also be checked to ensure all your top and bottom jaws line up with each other in a balanced manner to avoid tooth wear in the long term. Once treatment is complete, it is still important to maintain your oral health with a strict home care regimen and to care for your dental implants. Some patients have a false assumption that because the implant is made from non-biological tissues such as titanium and ceramic, that it doesn’t need maintenance and care like that of a natural tooth. One of the main reasons for dental implant failure (which is rare) is poor oral hygiene, leading to peri implantitis, an infection of the gum tissues surrounding a dental implant. Care and maintenance, however, is straightforward and your implant dentist will arrange for the hygienist to show you how to care for your new dental implants. You should also attend regular check ups, as your dentist will notice any issues if they arise. Do you have questions about dental implants in Puyallup?